TURQUOISE NB72 is a Loading... luxury yacht, built by Turquoise Yachts and delivered in 2019. Her top speed is 17.0kn and her power comes from two diesel electric engines. 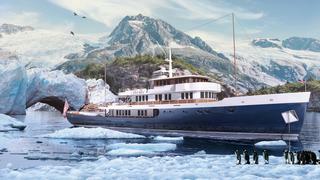 She was designed by Hoek Design Naval Architects, and the interior design was created by Vickers Studio.